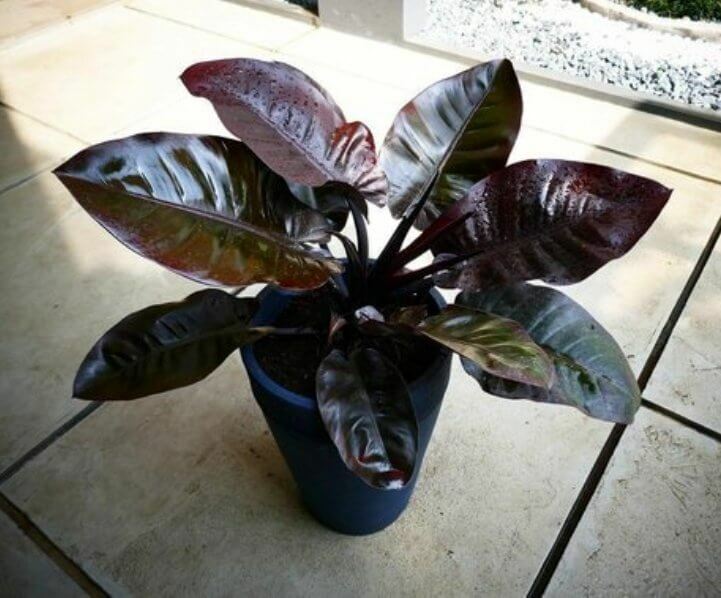 Philodendron Black Cardinal is an excellent ornamental indoor plant. 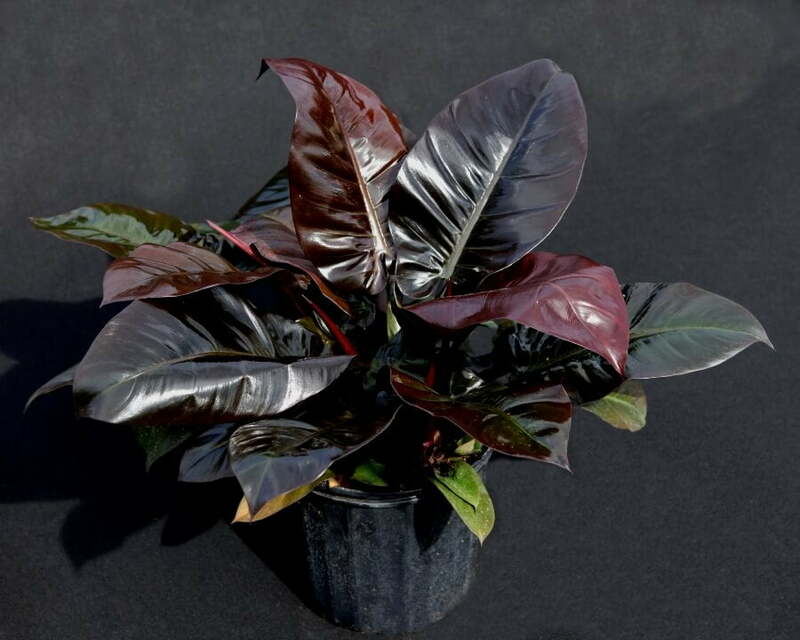 It has beautiful glossy bronze and blackish green color leaves with lush foliage. The leaves are broadly oval or truly lance-shaped, emerging light orange or bronze. They slowly mature to a deeper, truly dark green with an inclination to almost black, and oldest leaves on the lowest part of the plant darkest and dullest. Blossoms can arise during the warm months at any time, being a blackish-red, cloak-like wrapping spathe around a white, finger-like spadix. Black Cardinal philodendron filter airborne toxins such as formaldehyde, benzene, xylene, ammonia and trichloroethylene from the atmosphere. Black Cardinal philodendron are poisonous if ingested. Keep away from pets and children.